Unfortunately as trees deteriorate, the signs associated with the deterioration of the trees health often go either undetected or are construed as being associated to the current weather conditions. People need to be vigilant in assessing their trees on a regular basis to ensure that if the health of a tree is at risk that we are consulted in the early stages to rectify the problem. If the health of a tree has been deteriorating over a lengthy period of time then the remedial works required may take several months to years to ensure that the problem is rectified, whereas if we are consulted in the early stages of a particular problem then the remedial works required may be significantly less, resulting in reduced financial costs. Therefore if clients remain vigilant and assess their trees regularly they will become adverse to the changing conditions that may be negatively impacting on the health of their tree/s and will ideally reduce the risk of losing their trees. 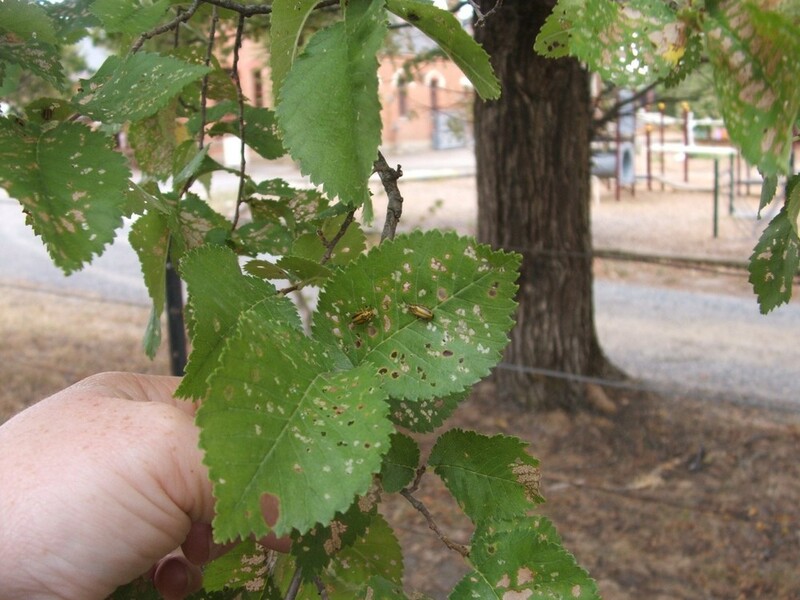 The leaves: discoloration of leaves, premature leaf drop, canopy dieback, signs of leaf chewing or leaf sucking pest attack. The branches: branch dieback, twig dieback, decay, cracking within branches particularly branch unions, evidence of borer holes and frass, storm damage including split branches. The trunk and roots: excessive shedding of bark (depending on the species), decay, cracking, borer holes, lifting of roots, damage to the roots, visible uneven weight distribution or lean, storm damage. If any of these visible symptoms are identified then please forward the details to us so that can ascertain the particular problem and the remedial works that will be required. Any particular aspects of the regime that can be implemented by our clients will be identified and during the consultation with the client these works will be discussed to ensure that they have a thorough knowledge of the scope of works that they will need to do. Certain aspects of a treatment regime may only be provided by a qualified arborist, these will also be discussed with the client to ensure that they are fully advised of the services required. Poor pruning practices previously administered to the tree resulting in epicormic growth, branch dieback, decay.